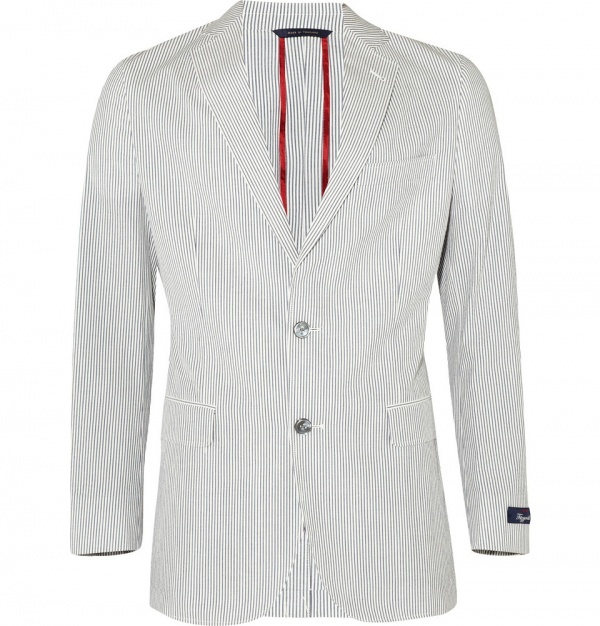 A solid contribution from one of our favorite American outfitters, Brooks Brothers, this fitzgerald seersucker cotton blazer in blue and white stripes is a must-have for the summer season. An extremely lightweight piece, there’s no lining and the white color will also work to keep you cool. The striped play with a slightly nautical look, and this piece could be worn with a pair of boat shoes to complete the ‘summer by the sea’ wardrobe. Available now at Mr. Porter. This entry was posted in Blazers, Outerwear, Tops and tagged Brooks Brothers. Bookmark the permalink.